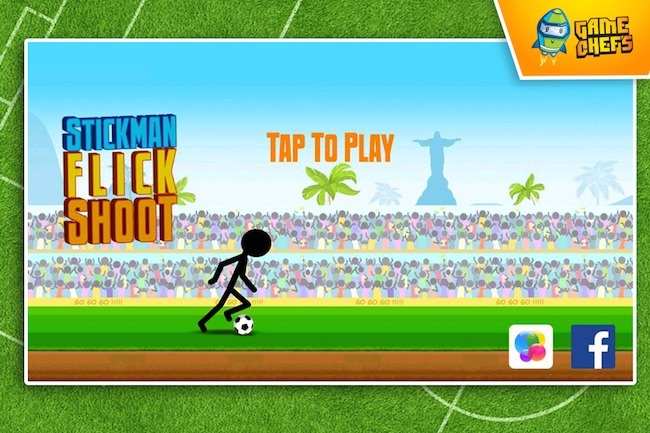 Stickman Flick Shoot came to life a few days after we launched Soccer Super Star during the FIFA world cup in 2014. We did not see a lot of activity on the original game so a friend suggested that we try the same game with the Stickman character. 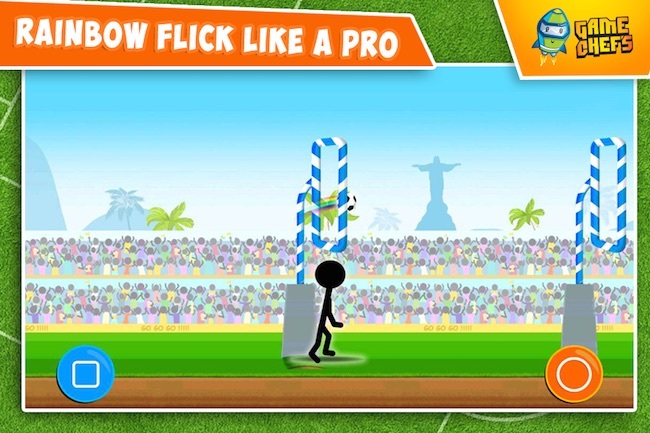 Back then, there was a lot of hype around Stickman games. 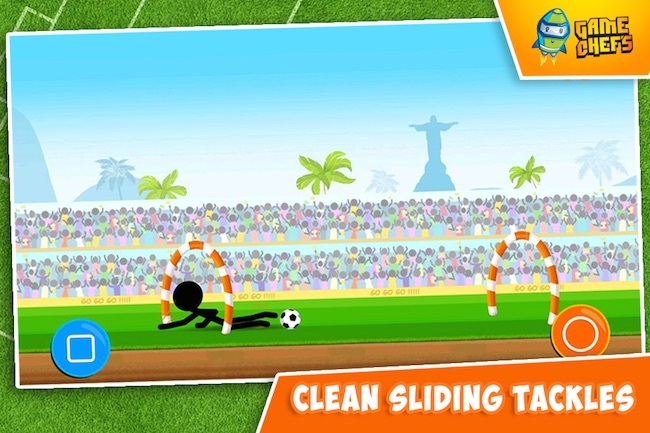 The game was a immediate success and made it to the top of the New Sports game charts in the US and UK. So without changing the gameplay and a simple change in the character worked wonders for the game. The game stayed on the top charts for close to 3 weeks. The gameplay like other games in the series is simple. The game starts with a slow pace and gets faster as time goes on. 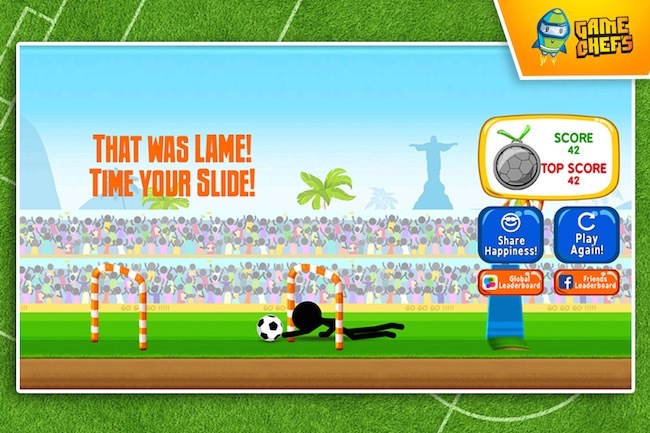 The objective is to dodge the incoming obstacles by making the right move. 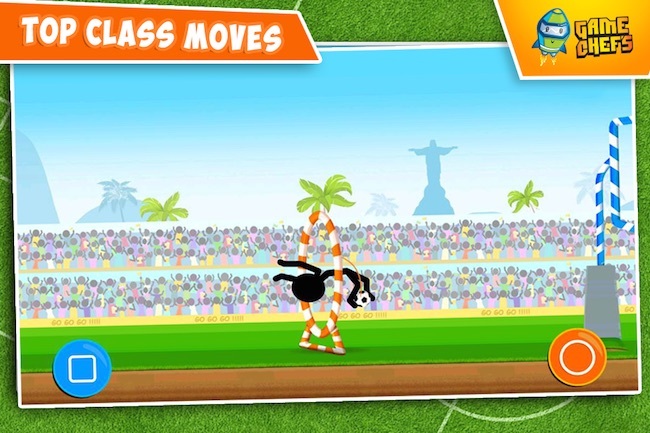 The available moves are slide, flick and a gymnastic style flip jump. The game is built with cocos2d-x and uses frame based animation. If we ever do this game, we will most probably use a puppet based animation to get more flexibility and to add more moves.